Home > Learn > The Basics > Alzheimer's FAQs > What are the other types of dementia? The original name of the US Alzheimer’s Association was the “Alzheimer’s Disease and Related Disorder Association.” Despite that early nod to the “related” or “other” dementias, for many years almost all the public’s focus was on Alzheimer’s disease, the leading cause of dementia. Approximately 60 percent of all dementia cases are Alzheimer’s and Alzheimer’s classic symptoms affecting memory, thinking, language and judgment are well known. So let’s take a look at the “other” dementias that affect hundreds of thousands, if not millions of persons worldwide. Most of the “memory medications” used to treat the symptoms of Alzheimer’s disease (the cholinesterase inhibitors like Aricept) have also been shown to help individuals with vascular dementia. Lifestyle changes that support good heart health and reduce stroke risk may also be helpful. Mixed dementia is a common condition in which Alzheimer’s disease and vascular dementia occur at the same time. The treatment is similar to vascular dementia. Lewy Body dementia is characterized by abnormal deposits of a protein called “Lewy bodies,” after the scientist who first described them. Symptoms include memory problems, poor judgment, and confusion similar to Alzheimer’s. What is different is that persons with Lewy Body may have excessive daytime drowsiness, profound visual hallucinations, movement symptoms and a lack of facial expression. The traditional dementia medications may be helpful; however, persons with Lewy Body dementia are often quite sensitive to psychotropic medications. Parkinson’s disease can sometimes be accompanied by dementia. In fact, dementia occurs in 15-30 percent of persons with Parkinson’s disease, usually appearing in the later stages of this chronic brain and nervous system disorder. Classic symptoms of Parkinson’s include tremors and shakiness, stiffness, difficulty walking and controlling muscles, lack of facial expression and impaired speech. Frontotemporal dementia (often called “frontal-lobe dementia”) is a rare disorder that affects the front (frontal lobes) and the sides (temporal lobes) of the brain. Symptoms include a more rapid onset of symptoms than Alzheimer’s disease, as well as changes in personality, judgment, planning and social functioning. Individuals may make rude or off-color remarks to family or strangers. They may make unwise decisions about finances or personal matters. This is the only dementia that impacts more men than women. The peak age is 55-65. There are no current treatments specifically for frontal-lobe dementia. 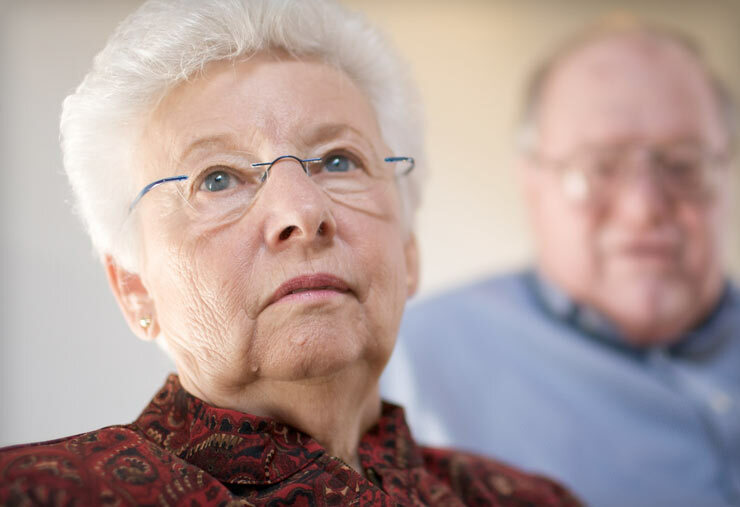 The traditional memory medications, cholinesterase inhibitors such as Aricept, may make this form of dementia worse and are usually not recommended. Antidepressants may be helpful. A thorough medical examination can usually identify the specific dementia diagnosis. Knowing the diagnosis can help family members better understand and cope with their situation. For example, if a person with frontal-lobe dementia makes hurtful remarks, a well-prepared family member may better take the remarks in stride. If a person with Lewy Body dementia is talking to “little people” in the room, a caregiver who understands that this is common will know not to overreact.